Food processors around the world permanently attempt to improve their products for conformity as well as for identifying and removing impurities. For instance, nut processors have a very hard work to differentiate between the good product and very similar looking impurities like shells and septas. 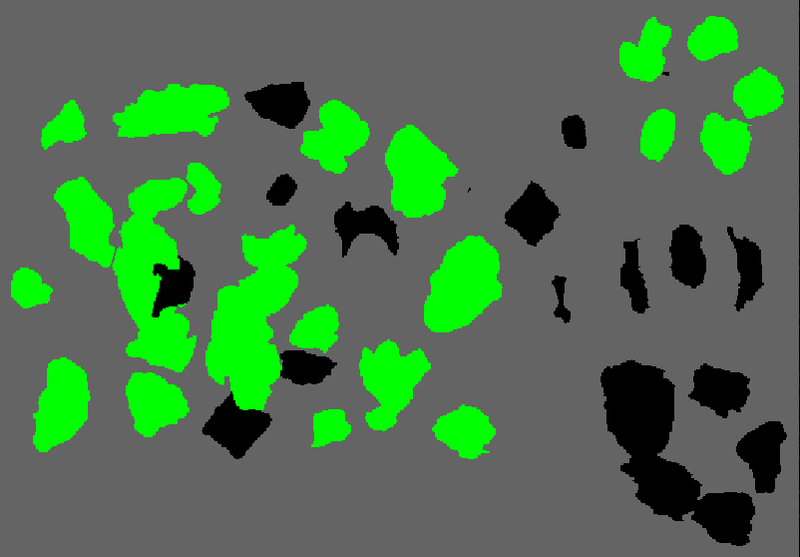 In particular, when impurities are not differentiable in colour, shape or size the Chemical Colour Imaging tools, Perception STUDIO and Perception CORE, enable to inspect chemical properties and to identify known and unknown impurities. The present example shows the reliable detection of impurities between walnuts. The image above shows walnuts with various impurities. These impurities might be shells or septas/membranes like in the bottom right of the image. In very rare situations there could also be unknown impurities mixed between the good materials. For a proper sorting solution these unknown impurities must be identified too. For the present walnut example the single-click classification of the Perception STUDIO was applied. 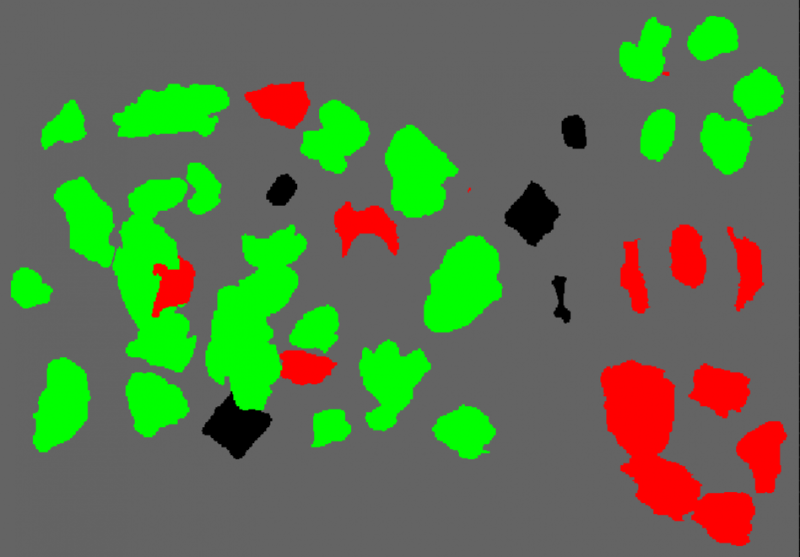 The good objects, the nuts (green), and known impurities like shells and septas (red) were trained. All materials that have not been trained are identified too and appear in black colour (not good object). If you compare the classified image with the RGB image above you can see that there are various additional impurities like plastic parts, metals and glass. While plastics provide a dedicated spectral response in the measured wave length region (1000 – 1700 nm), metals and glasses don’t have a dedicated spectral information. But still, by using the right strategies, also material that don’t provide a dedicated spectral information like metals and glass can be identified and rejected. As mentioned before, the tools of Perception Park can also identify unknown (not trained) objects. This enables the user to teach only the good materials. All impurities are detected as foreign material and can be rejected. As a consequence a impurity detector can be realized with a very short time to market. Why it can be useful to train known impurities? For users of sorting machines pressurised air and over-sorting might become very expensive. So it is important to find strategies to optimise those variables. One way is to differentiate between disgusting, non-hazardous and hazardous impurities. In this case the user trains the disgusting but non-hazardous objects. Here the strategy is clearly to save air for ejecting disgusting but non-hazardous impurities as well as keeping the over-sorting low. Even if an impurity is missed, it is sure that the impurity will not harm the end-customer. Second part of the strategy is to be sure to shoot out hazardous impurities. Here many valves shoot for a longer time and cause a larger over-sorting and higher use of air. But this ensures that hazardous or unknown impurities are ejected for sure. So the user saves money for expensive product recalls. With the present example we showed how quick and easy an impurity detection system can be realized by using the tools of Perception Park. 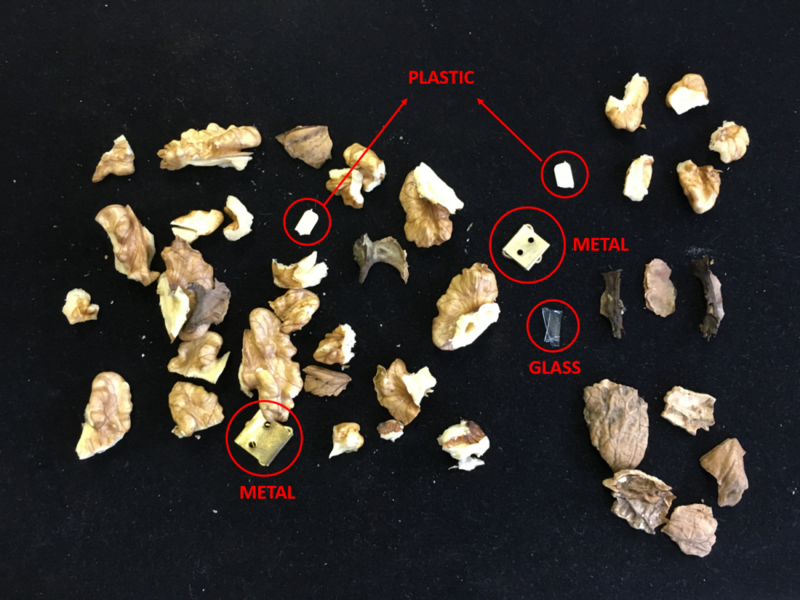 By applying additional Chemical Colour Imaging also defects or non-conformities like rotten nuts are identifiable with a single system in a single process step. Detecting contaminants in dog food.